Cities like Chicago are filled with stylish creatives. 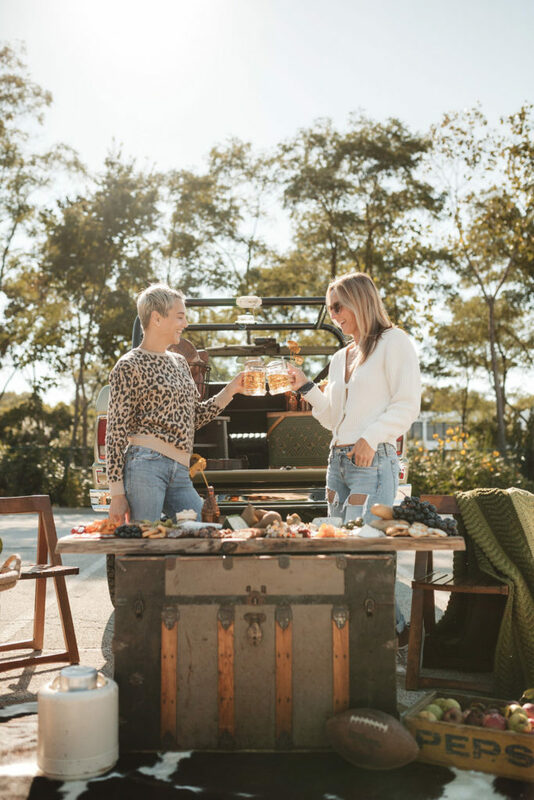 Yet there is something about Ellie Nottoli of elliestyled that puts an added unique spin on the spaces and events she creates for her clients. I have known Ellie for years and have always admired her chic and bold style coupled with her creative energy. It seemed only fitting then, that her stylish eye spilled over into launching her very own event planning business. 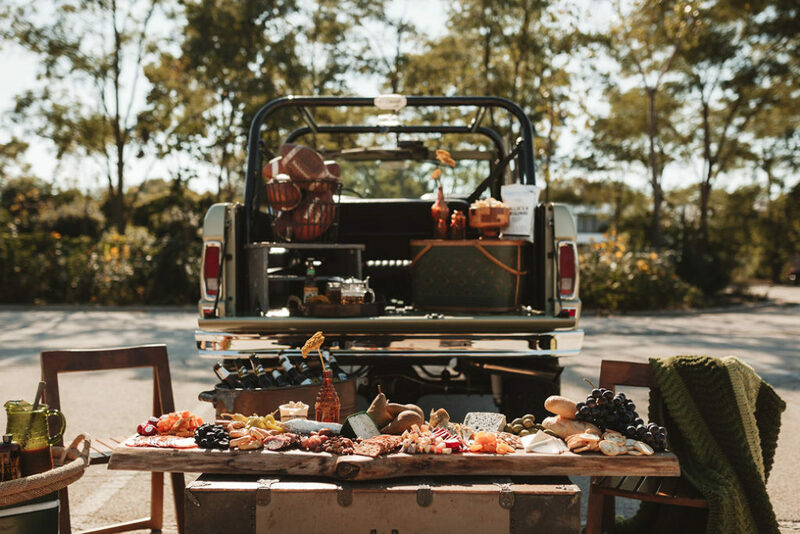 Recently, Ellie has launched another arm to her business: creating made to order gourmet charcuterie boards perfect for any social gathering. 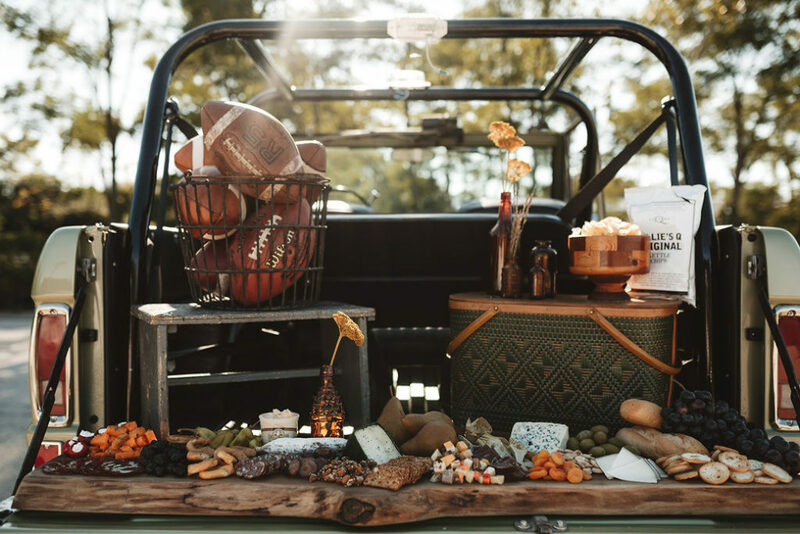 And although these works of culinary art are beautiful enough to photograph on their own, in truly Ellie fashion, she highlighted them in an elevated tailgate themed party. 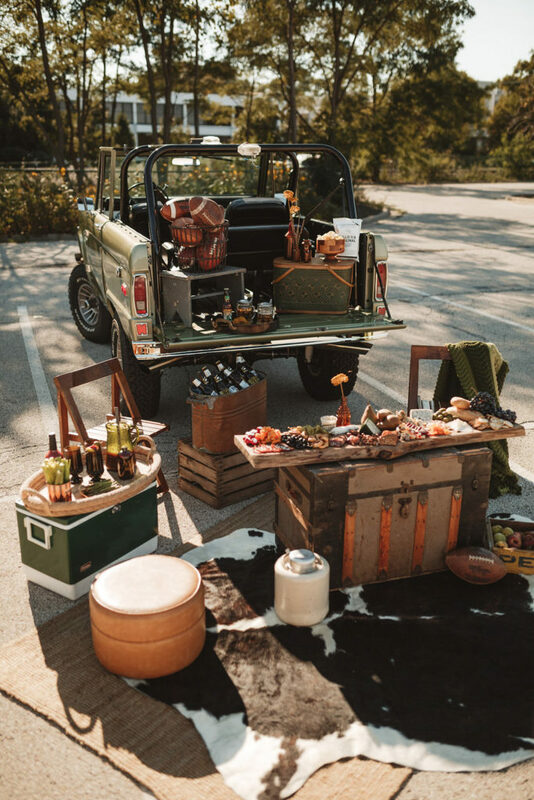 My Bronco was her starting point, and from there, she created a tailgate experience sure to rival even the best on the college or pro football circuit. Afterwards, I had a chance to interview Ellie to learn more about elliestyled. How did you turn your passion for styling into a business? Social media outlets such as Instagram and Pinterest have lead to an increased “wow” in visual appeal. People want to be a part of an elevated design but they don’t always know how to do it themselves. I turned my styling business into a career after realizing there is a need for aesthetic and styling support. We are entertaining more at home, less at restaurants and that often requires a need for a stylist to help turn a home or a space into a magical setting. People are now wanting more of an experience. They are seeking an event where there is some kind of interaction, whether it is visual or physical. “Styling” is an incredibly broad term. My services range from full service wedding planning, to smaller more intimate gatherings such as dinner parties. I also offer services such as gift wrapping and curating corporate gifts or simply accessorizing a home or bookshelf. 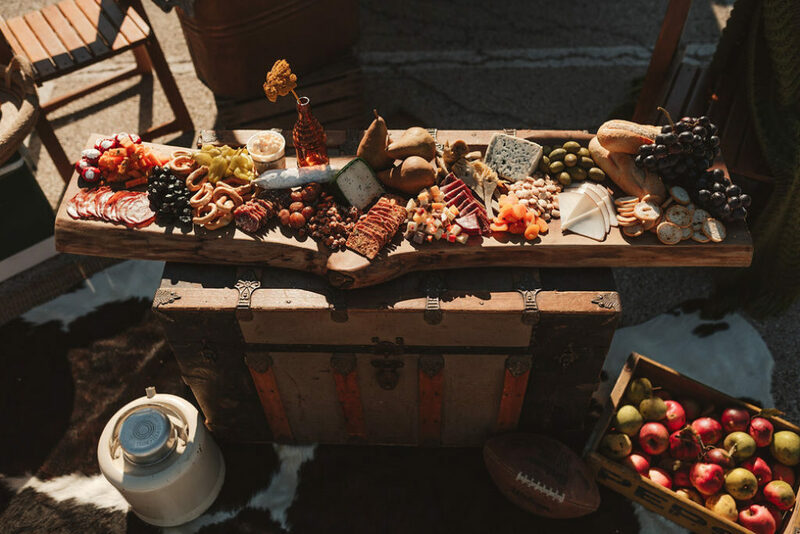 I recently added custom curated charcuterie boards as an accompaniment to event decor. 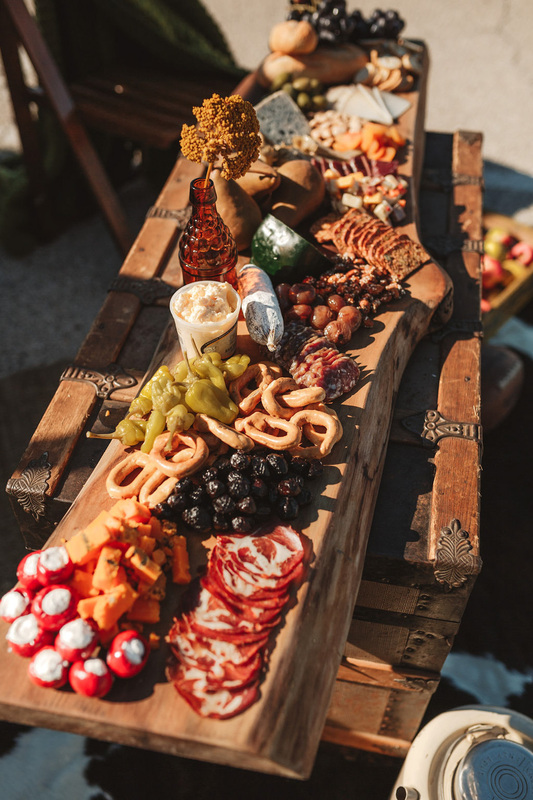 Tell us about the charcuterie boards you are creating for clients? 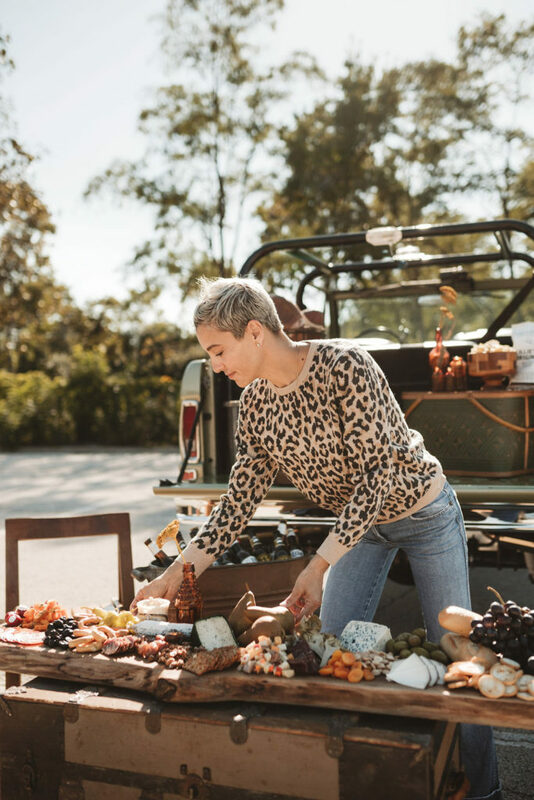 I have recently partnered with two local, family owned shops to source seasonal and exceptional ingredients to curate cheese and charcuterie boards of varying sizes. I currently offer a range of 2’ to 10’ boards. All of my boards are sourced locally, and milled from fallen black walnut trees. 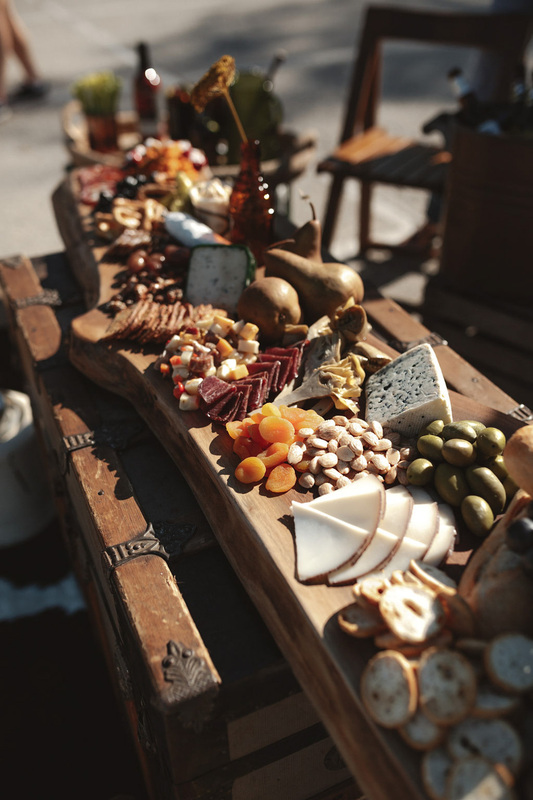 They include a variety of cheeses, cured meats, fruit, nuts, olives and crackers. As the ingredients intensify, larger boards are ordered. My 10 foot board comes with a seafood option that includes smoked salmon and octopus. My clients order them for everything and anything: book clubs, wine and cheese with friends, wedding receptions and larger scaled events. I once served a wedding shower brunch for 50 people off a fifteen foot board! What skills do you think are important in an event planner? A connection to the client and their needs, organization, style and flawless execution! Where do you find your inspiration in creating the space your clients desire? Inspiration is everywhere! Of course the internet is chock full of visual influence, but it also comes from our everyday surroundings. I am heavily influenced by nature juxtaposed with modern design and color. What is your go-to centerpiece solution? It varies. Florals and some styling elements is the obvious choice. I have been playing lately with keeping the table more minimal and doing more installation work either overhead or on the walls. Current favorite color palette for a party? It’s fun to play with color and using “off” colors that are unexpected to keep things interesting. I like to use a really soft, neutral palate this time of year with all different shades of off white, sand, mushroom and oatmeal. It’s not a party without ___________? Ooooooo…tough one Megan! It sounds so cheesy and cliche to say that they all my clients are a dream but that is my authentic response. All clients are different and each event is unique. 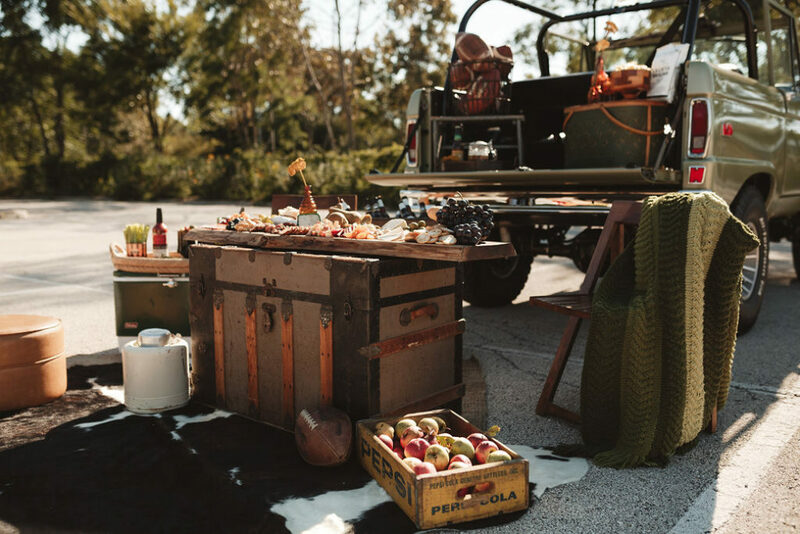 I love the challenge of putting together someone’s dream party and working within their budget, space and concept. Modern and organic, but always luxe. For a more in depth look at Ellie’s portfolio and services head to elliestyled.